There is, in all of us, an inherent desire to know God, to know ourselves, and to know why we are here. In our search for God, many of us have found the ancient Christian practice of contemplative prayer of great help. Contemplative prayer is the prayer of consent – consenting to God’s action and presence in our lives. In the stillness of contemplative prayer, we intend to let ourselves go into God, opening ourselves to the Holy Spirit’s transformative action in our mind and heart. The practice of contemplative prayer is at the heart of all of our contemplative living ministries at Saint Barnabas: it’s the foundation of our retreats, Quiet Days, and The ART of Engaging Holy Scripture classes. We teach Centering Prayer as a particular method for practicing contemplative prayer, and we have several Centering Prayer groups that meet weekly to support one another in this practice. The Centering Prayer method is taught at Saint Barnabas in programs consisting of an all-day Saturday workshop conducted by our Rector, The Rev. Jim Clark, and Liza Bell and five evening sessions that provide continued training. These programs are ecumenical–anyone who is interested in learning more about this practice is welcome to register to attend. This all-day workshop is followed by five evening sessions that provide continued training, and an invitation to participate in one of our weekly Centering Prayer groups. Upcoming Introduction to centering prayer program begins Saturday March 23, 2019. Please contact Liza Bell, lizabell@cox.net or 602-527-6161 for more information. We also have several Centering Prayer groups that meet weekly to support one another in the practice of Centering Prayer. Weekly groups each begin with 20 minutes of centering prayer, followed by a video presentation or literature study featuring topics relevant to living a life grounded in the abiding presence of God in all things. All centering prayer groups meet in the Small Chapel just south of the main Sanctuary. 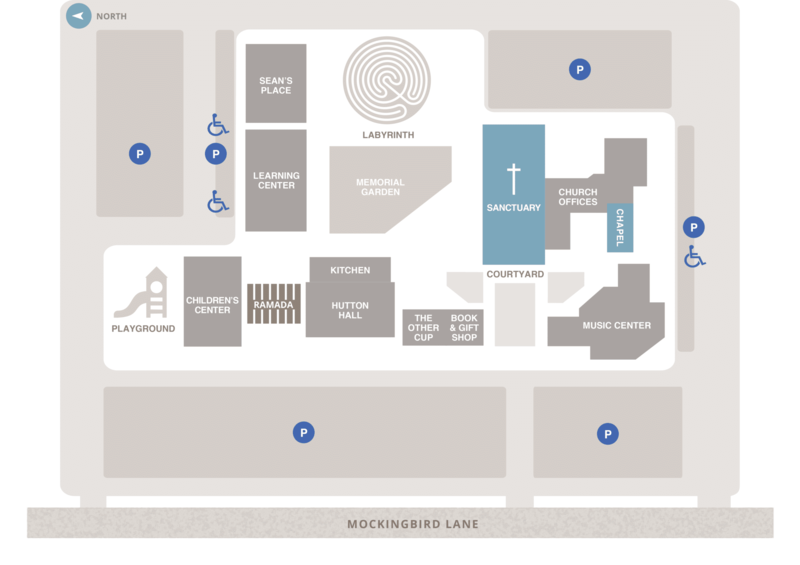 Click here to view our campus map. ALL are welcome. Questions? Contact Liza Bell lizabell@cox.net or call (602) 527-6161. Monday evenings, 7:00 – 8:30 pm. Facilitator: Liza Bell, lizabell@cox.net or 602-527-6161. Tuesday mornings, 9:00 – 10:30. Facilitator: Suzy Dodds, suzydodds@gmail.com , 480-390-4364. Tuesday evenings, 7:00 – 8:30 pm. Facilitator: Debbie Moore, deb.j.moore@gmail.com , 508-942-8953. Facilitators: John and Mary Stone, maryspeckerstone@gmail.com or 480-993-4507. This is an 11th Step Group for persons in any 12-step recovery program. The Return of the Prodigal Son: A Story of Homecoming by Henri J.M. Nouwen is the current book, and copies are available for purchase or loan at the meeting.